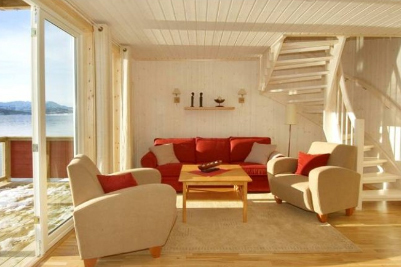 Snuggle up in a cosy cabin next to the breathtaking Malangen Fjord, just an hour from the city of Tromso. With dark skies and a quiet setting, the cabins offer a unique setting to view the elusive Aurora Borealis as well as to experience outdoor adventures. 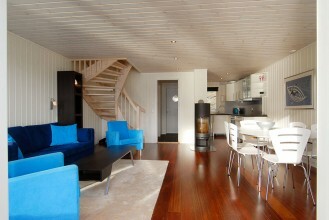 Arrival to Tromso and transfer to Malangen Resort. Transfers depart in the morning and late afternoon. 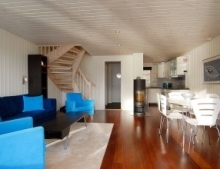 On arrival check-in to your deluxe sea view cabin with panoramic views towards the beautiful fjord and surrounding mountains. As the name suggests, the deluxe waterfront cabins are located right on the coastal rocks, allowing you to lay back and listen to the waves crash against the shore. 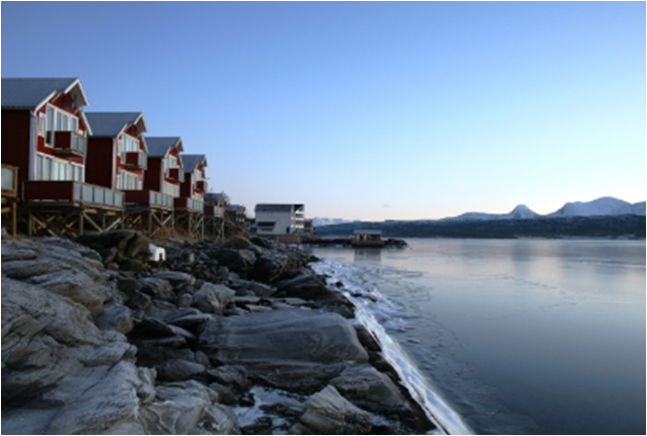 In the evening enjoy a 2-course dinner at the hotel’s restaurant with views towards the fjord and hopefully clear night skies. 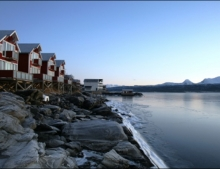 The restaurant serves dishes made from local ingredients to give you a true taste of the Arctic. After dinner you will meet your guide who will take you out to chase the Northern Lights. You will have a briefing before heading out on a 3-hour quest for the Northern Lights. You will stay at a local camp if the forecast is good or head out by bus. During the evening you will be served some hot soup to keep you warm. After returning to the hotel and pressing your head against the pillow, your guides will still be at work keeping an eye out for the elusive Aurora Borealis. 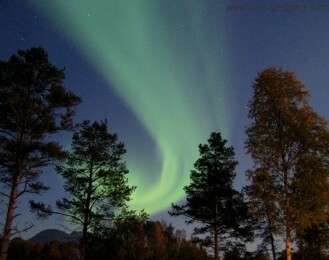 If the phenomena is spotted during the night, you will be woken up by a traditional Sami song (optional service). If you hear the song, quickly head downstairs where your Aurora kit is waiting for you. Your guides will then show you to the spot to view the Lights dancing in the night sky! You will have the chance to join the Aurora Chase each night and sign up for the wake-up call if the Aurora should appear during your sleep. This will guarantee a peace of mind that you won’t miss any of the magical phenomena. 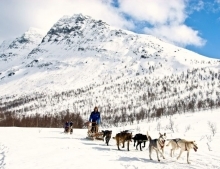 After breakfast, join a husky sledding adventure from the nearby wilderness camp. After getting dressed in warm outer clothing, you will meet some eager husky dogs ready to take you on a journey through the snow-clad wilderness. 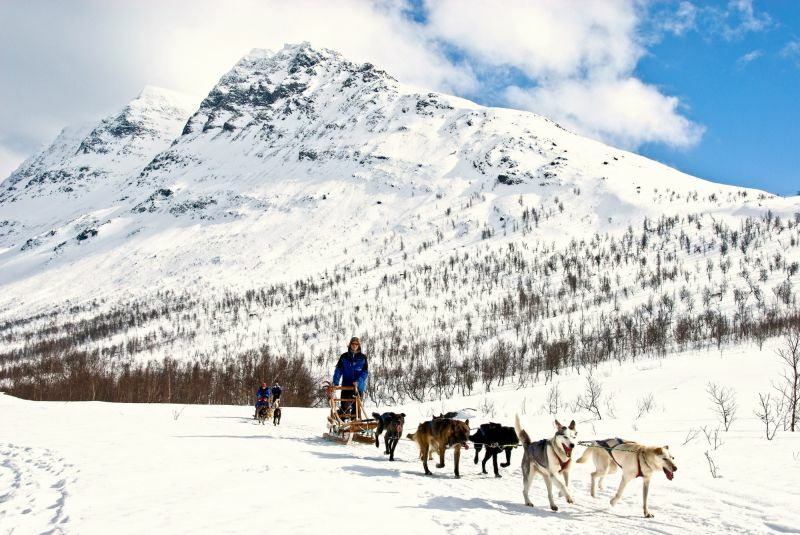 Your guide will show you how to drive the sled and soon you will enjoy working together with the dogs and viewing the passing Arctic landscapes. After the thrilling ride you will return to the camp and take care of your own team before enjoying a `warming meal at the camp. In the evening enjoy dinner at the hotel restaurant and share your experiences with the other guests. 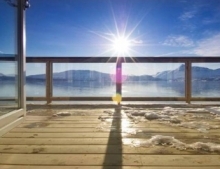 Afterwards you will have a chance to join the Aurora Chase or perhaps you’ll enjoy the sauna of the hotel and even the outdoor hot tub, both with stunning panoramic views to the fjord. Today is a free day for you to be as active or relaxed as you want. Choose to join one of the many activities at the resort that include snowmobile safari's to the mountains, silently snowshoe through the wilderness or make your own path through the snow by fat-bike. 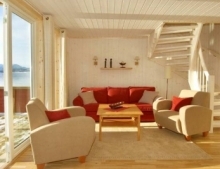 If your feeling like a bit of R&R is needed simply relax in your cabin with amazing fjord views in front of you, spend some time relaxing in the sea view public sauna or hire your very own outdoor hot tub for the ultimate romantic experience. 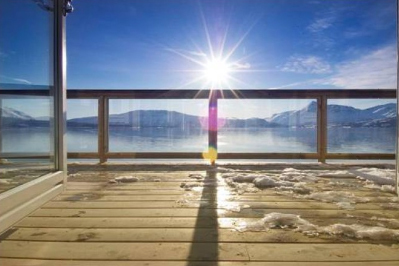 After breakfast you will depart towards the airport and bid farewell to the Arctic or extend your holiday with extra days at Malangen Resort, Tromso city or another location in northern Norway.